Peter Krøyer was a member of the Skagen School, a group of nineteenth-century painters who worked by the sea on the northern tip of Denmark every summer. 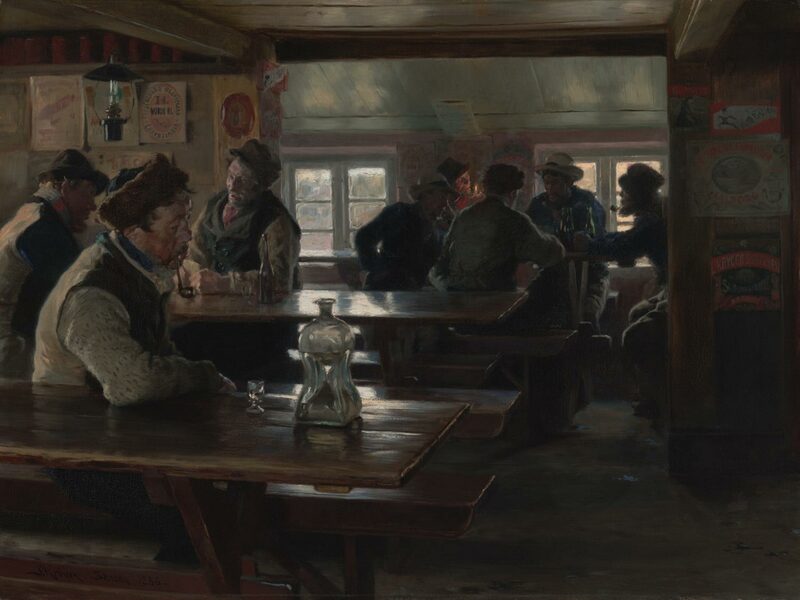 He created this scene of fishermen gathered in a tavern in Skagen for John G. Johnson of Philadelphia, an eminent lawyer and avid art collector. Johnson, who rarely commissioned works from living artists, purchased a number of Scandinavian paintings with the assistance of Alexander Harrison, a Philadelphia-born marine painter who lived in Paris.